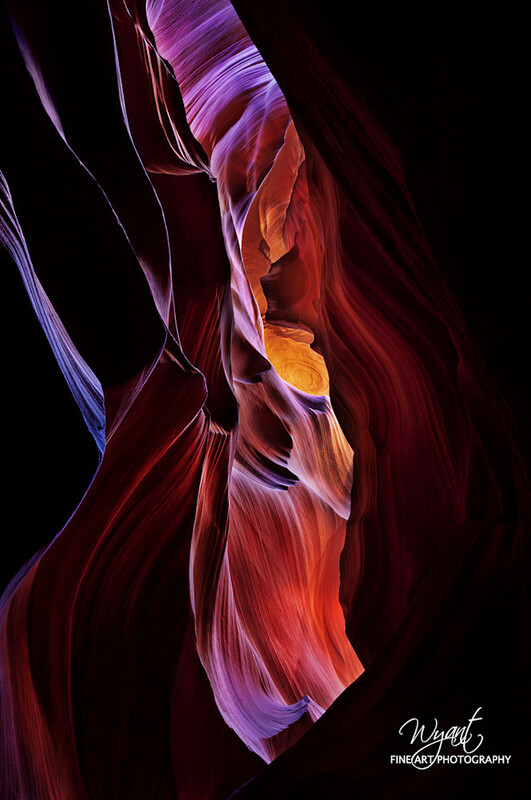 Antelope Canyon is the product of millions of years of water erosion. In fact, the Navajo name for Upper Antelope Canyon is “Tse' bighanilini,” which means "the place where water runs through rocks." What an amazing piece of art the water and rocks has made. This piece is part of our Limited Edition series, only 30 Pieces will be created from this image. PLEASE NOTE: Finished prints will not have the Wyant logo watermark but a signature by the artist.